Middle-earth: Shadow of War Definitive Edition, the most comprehensive version of last year’s epic, open world action game where players forge a new Ring of Power, conquer fortresses in massive battles and dominate Mordor with their own personal Orc army, all brought to life by the award-winning Nemesis System. 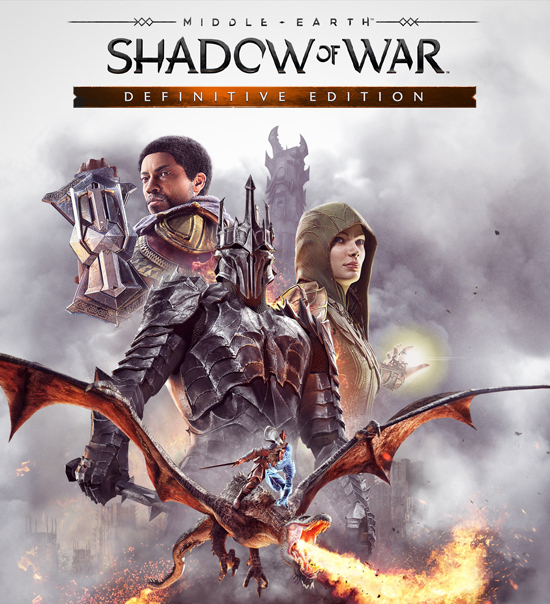 Middle-earth: Shadow of War Definitive Edition will include the main game packaged together with all downloadable content (DLC), free updates and improvements and will be available for the Xbox One family of devices including Xbox One X, Windows 10 PC through the Microsoft Store, Steam, PlayStation 4 computer entertainment system and PlayStation 4 Pro computer entertainment system from 31 August 2018 in the UK. Online Pit Fights & Conquests: Added search feature to challenge specific players' Overlords and fortresses in Friendly Mode. Players can also check out a free Middle-earth: Shadow of War game demo available on PlayStation 4, Xbox One and PC, allowing gamers to build an army of unique Orc followers and lead them in a fortress assault deep in the heart of Mordor. Middle-earth: Shadow of War Definitive Edition will be available for £49.99. Please note that content beyond the main game is not pre-loaded on disc and requires an online connection to download. Set between the events of The Hobbit and The Lord of the Rings, Middle-earth: Shadow of War™ is an open world action role-playing game (RPG) that continues the original narrative of Middle-earth: Shadow of Mordor. Players will be engrossed in a richer, more personal and expansive world full of epic heroes and villains, iconic locations, original enemy types, more personalities and a new cast of characters with untold stories.